Olivia McConnell – oil on board dated 1949. 20 x 24″ titled A Sunday Morning. 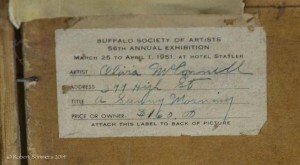 Olivia “Ollie” McConnell (1903-1984) Graduated from Skidmore College and studied further with famed Western New York artists Raphael Beck, Robert Blair, and Charles Burchfield. 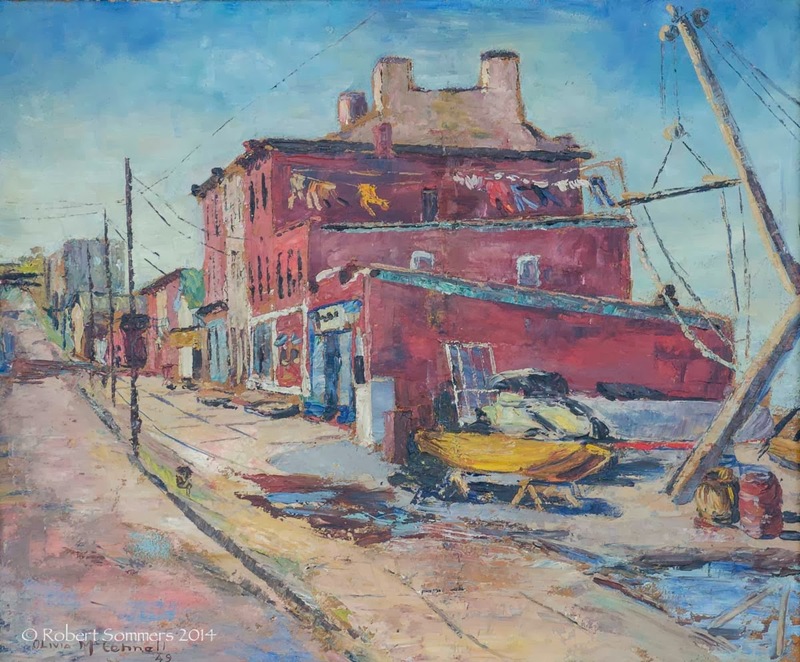 Her works were included in exhibits at the Albright Knox Art Gallery, Buffalo Museum of Science, Provincetown Art Gallery, and the National Institute of Rehabilitation in New York City, along with numerous solo exhibits in Lockport, Medina and Middleport, including a show at the Kenan Center in 1974 and a retrospective exhibit in 1992 and another retrospective in 2011.